This is a healthy soup that is quick to throw together and tastes like it has simmered for hours. 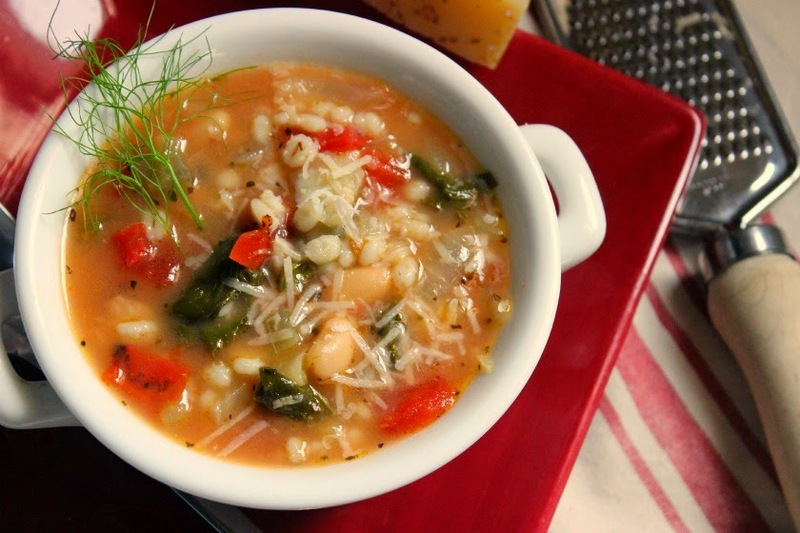 Barley replaces the pasta here - but this soup tastes like Pasta Fagioli! As our weather starts to cool down in a few weeks, this would make a nice evening meal after working in our orchard all day…quick and tasty. Sounds lovely...I adore barley, but don't think I've ever used the quick-cooking kind. I'm going to look for it. I'm a big soup lover!